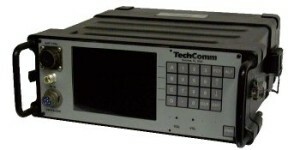 Processors - Tech Comm, Inc. The DF Antenna consists of a goniometer type direction finder system that uses a variety of elements. The DF Antennas may be Monopole, Dipole, Log Periodic, Annular Slot or other beam former, or various combinations thereof. The various DF antenna arrays have an omni-directional receive capability and during signal processing develop a minimum of four equally spaced beam patters, with a discernible front-to-back ratio. The front-to-back ratio of each beam pattern and the crossover point of adjacent beam pattern determines the frequency at which the DF Antenna will provide optimum performance within each bay or frequency band. 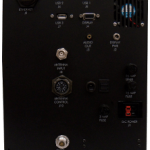 The Direction Finder Processor is the controlling device in the direction finder system. 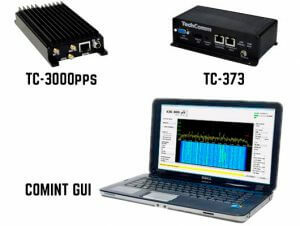 As the receiver is tuned to a desired signal, the processor generates the control and drive appropriate for the connected antenna. The received signal is modulated by the processor-generated control signal at each output of the antenna. The signals are combined and fed to a receiver where it is detected. 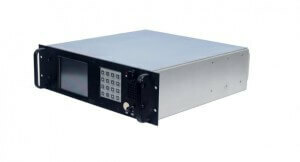 The audio base band contains the specified control and other received signal characteristics. The detected signal is fed to the DF processor that selects the control signal component, measures the phase angle relative to the reference phase and converts it into bearing information. The processor then adds to the bearing information any offset programmed at the front panel, host controller or system software, and displays the resultant bearing in a 3-digit readout and a corresponding relative compass pointer for those processors having a front panel display. The processor continues to measure and update the front bearing information at the selected slow or fast rate until the received signal is no longer present. At signal loss, the control signal Hz component is no longer present and the display, if present, is frozen, displaying the last bearing calculated and the processor resets until a new signal is present. Software controlled variants that have no built-in display will indicate that the DF bearing is active or from memory, indicating that the DF processor is bearing information is not being updated. Choose from our 4000, 5000, 7000 or 9000 series. Click on images for detailed tech specs.